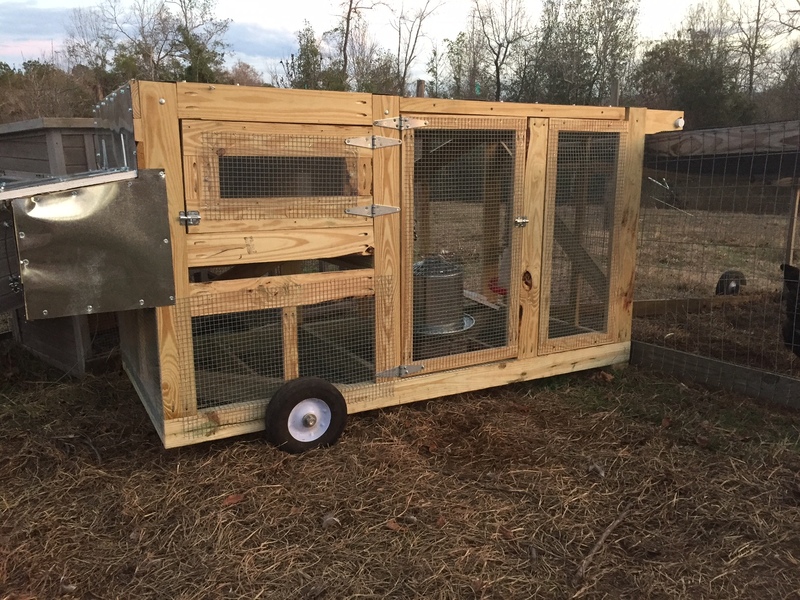 The New Chicken Tractor is Basically Finished! 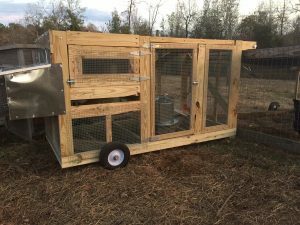 I had no idea it would take this long, but the new chicken tractor that has been the focus of my work for the past couple of weeks is complete, and the girls are asleep in their new home tonight. I was excited to use pocket screws to build it, because the pocket screws allowed me to keep the edges of the tractor flat and ready to accept hardware cloth and sheet metal. The problem is that every piece had to be hand cut and then fine-trimmed so everything fit together. But it’s finished now. I hope and expect that this will last quite a long time with a minimum of reinforcement and repair, unlike the old coop which had become so rickety I was almost afraid to move it. 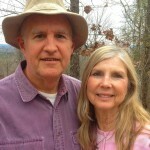 I still need to fashion a wrap-around cable that will cinch the tractor to the run. Maybe tomorrow.